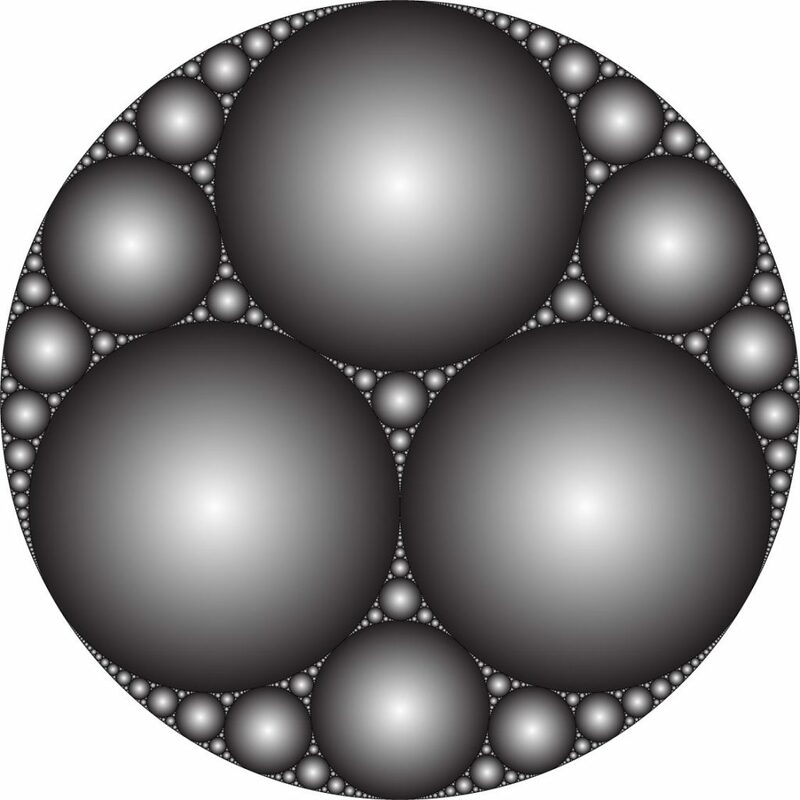 The Apollonian gasket is a fractal. 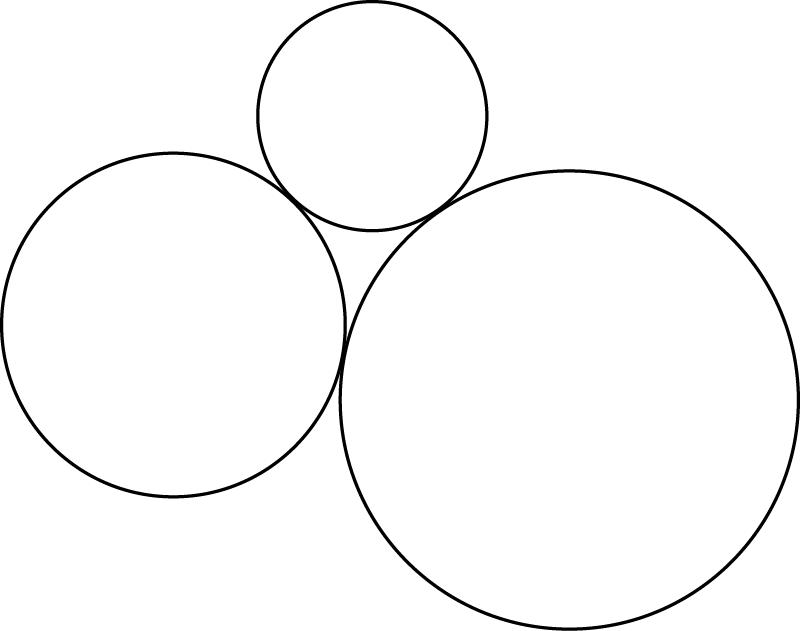 It begins with three circles. Each pair of circles touch each other at a single point, and the three points of contact are distinct. The circles invite decoration with colors or depth. There are also interesting relationships between the curvature of the circles. A circle’s curvature gets bigger as the circle gets smaller. If it has radius 1, the curvature is 1. If the radius is 1/3, the curvature is 3. And so on. 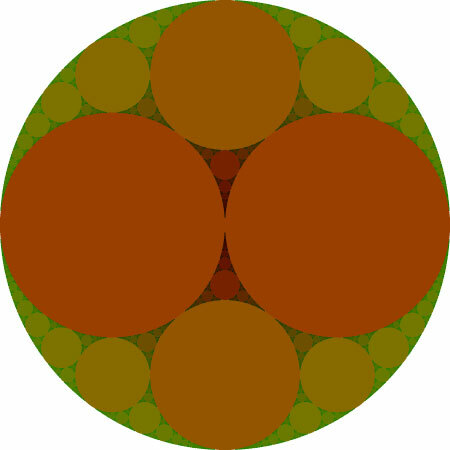 Here is an Apollonian gasket showing the curvature of each circle. If you start at the 2 on the left, and follow the circles around the 3, the numbers are 2, 6, 14,…. Do you see a pattern? 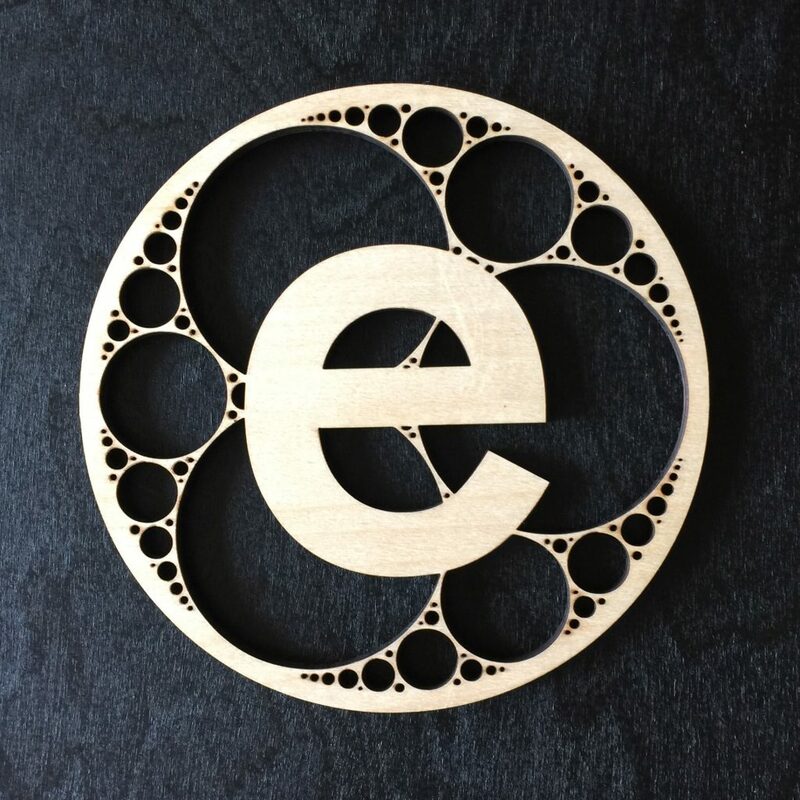 And here is an example of an Apollonian gasket we’ve made, available from our online store. 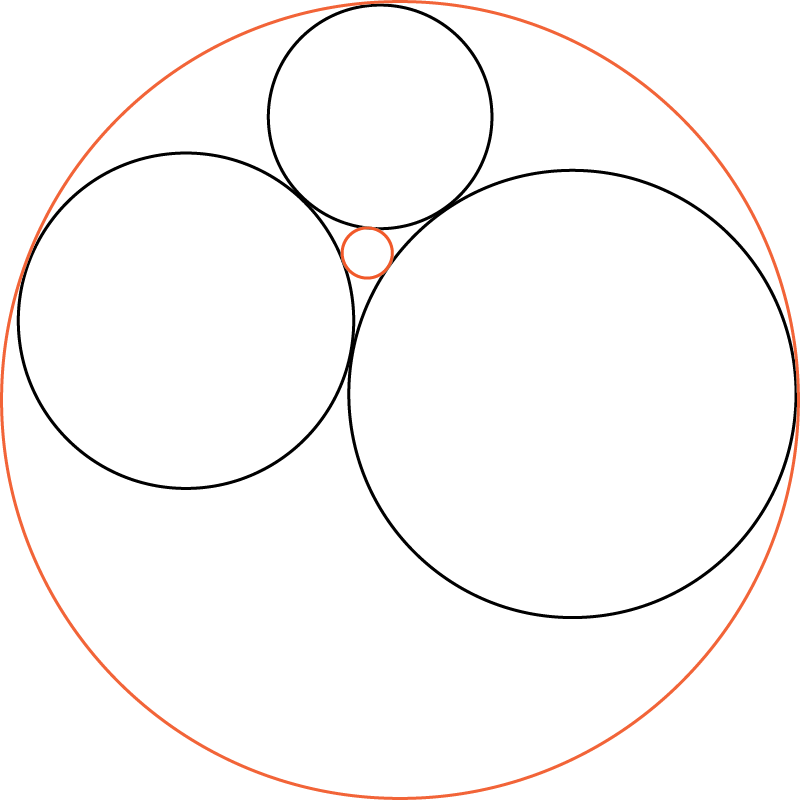 If you’re curious about the name, Apollonius of Perga, the great Greek geometer, solved the more general problem of finding tangents for three circles that aren’t necessarily touching. In that case, there can be up to eight tangent circles.